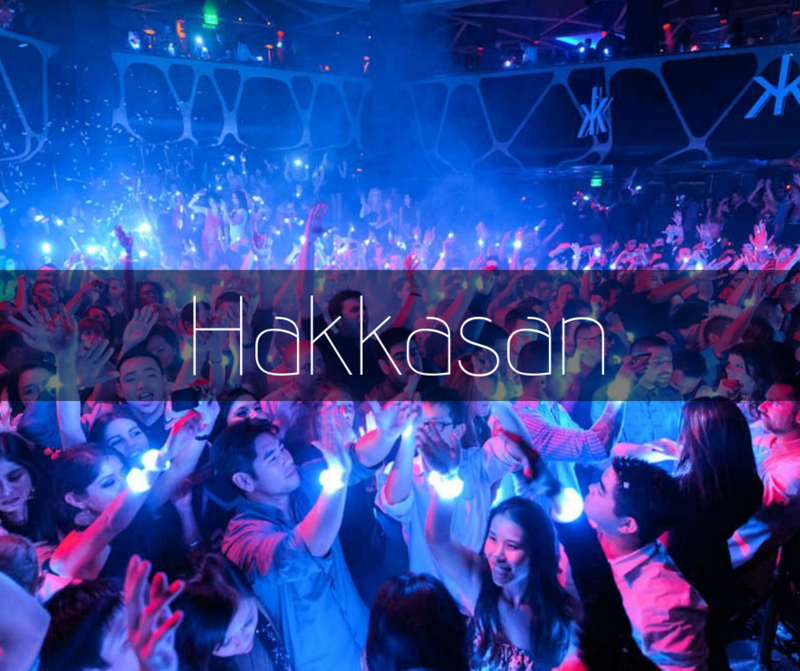 Hakkasan Nightclub is one of the top nightclubs in Las Vegas. Opening April of 2013, this ex-Studio 54 space undertook a major $100+ million renovation and makeover to create this enormous nightclub & restaurant facility. The nightclub is incredible and modern on a whole new level. 3 different rooms (Main room, Pavilion, and Ling Ling), 80,000 sq ft of space, state of the art lasers, floor to ceiling LED screens, mind-blowing sound system and giant Hakkasan logos hanging the ceiling. Main room & Pavilion are primarily EDM format, with 3 areas to explore on 2 different floors. The Ling Ling room is typically where the Hip Hop & Top 40 style music will be, so you get a great blend throughout the night. Hakkasan is definitely a Top 5 Las Vegas nightclub, probably a solid 3rd place behind Omnia & XS. With world-renowned resident DJ’s like Calvin Harris, Tiesto, Steve Aoki, Hardwell, Above & Beyond, ZEDD, Cash Cash, Lil Jon, Kaskade, NGHTMRE, and many more on the list. With it’s big name DJs performing weekly, frequent celebrity appearances, and it’s expansive multi-level layout, this nightclub has changed the game and set a new standard for other Las Vegas nightclubs moving forward. A majority of this great talent can also be seen performing at Wet Republic Ultra Pool. $20-40 for ladies & $30-60+ for gentleman on Thursdays thru Sundays. Upscale casual trendy attire, ‘business casual’ is a good guideline. Music at Hakkasan is mostly House/Electronic/EDM artists like Tiesto, Steve Aoki, ZEDD, Kaskade, Lil Jon, Cash Cash, Calvin Harris & other big names to follow.